Asphalt is prone to cracks and crumbling as it expands and contracts, so a certain amount of that is expected over the course of a driveway’s life. But how do you know when cracking and crumbling warrants a re-sealing? Letting things go too long exposes you to the potential of a partial or complete re-paving of your driveway, but you also don’t want to pay for resealing too frequently. Find out exactly when a re-sealing is warranted with ProSeal Asphalt. 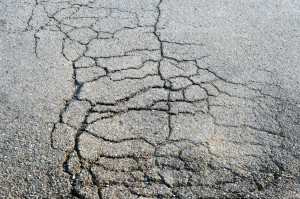 Cracks in driveways are formed from your asphalts natural expansion and contraction during hot and cold weather cycles. During periods of heat, your driveway will expand and allow moisture to penetrate the cracks and crevices of your driveway’s asphalt. When temperatures dip below freezing, this moisture will freeze and expand, placing your asphalt under pressure and widening the gaps and holes that comprise the texture of your driveway. Identifying these cracks, and getting an impression of their size is the first step to determining if you need to call ProSeal to seal them. As a general rule, if you can squeeze a loonie into a crack, it’s time to give ProSeal a call. Left untreated, these gaps will become substantial, and as your car repeatedly drives over them, they will crumble. When this happens crack filling treatments will not be enough to fix them, and they will require a re-pave. Like skin, asphalt needs to be ‘moisturized’ in order to remain healthy. 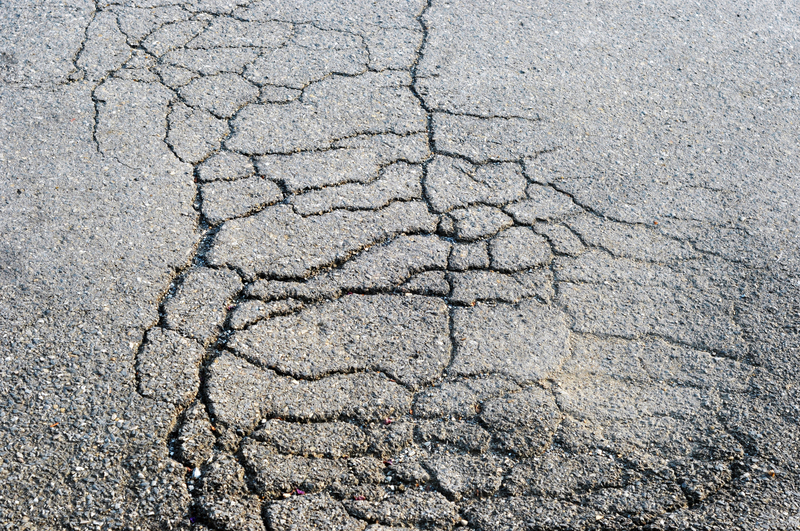 Crumbling generally occurs in ‘dry’ asphalt, or driveways that have not been sealed in years. This happens because as they dry out, driveways become more susceptible to moisture penetration. If they don’t have sealant, they’ll take any moisture they can get, including water and the chemicals that drip from underneath your car. This exposes them to the problems associated with freeze-thaw cycles, diminishing their ability to weather the force of your car driving over them. High-traffic areas, and the edges of your driveway are especially prone to crumbling. Around the edges, your asphalt has nothing pushing on it to prevent pieces from falling off; and without sealant your driveway is considerably less able to take the beating your car gives it day after day. Getting your driveway sealed is an inexpensive part of maintaining your home, and a wise investment given that it prevents the need for re-paving. 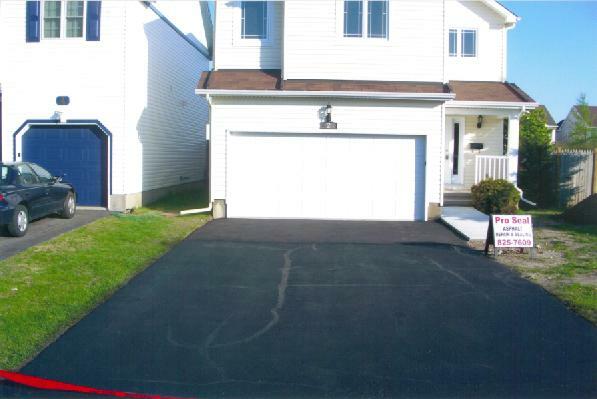 A properly cared for driveway can have a very positive effect on the value of a home, so it makes simple financial sense to ensure the health of your asphalt by regularly sealing with ProSeal. With 23 years in the asphalt sealing business, you can trust us to provide the highest quality asphalt and best service in Ottawa. For all your asphalt needs, get in touch with ProSeal. 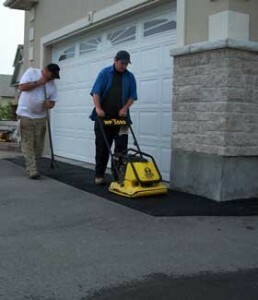 How Often Should You Seal Your Driveway in Ottawa? Pro Seal is a family owned and operated business located in Nepean, Ontario. We have been in business since 1991, and a member of the Ottawa Better Business Bureau since 2007. Please contact us, by phone or email, for a personal one-on-one consult and free estimate. We guarantee the quality of our work, and the satisfaction of our customers. We offer a 48-hour free local quote, guaranteed in the Ottawa region, as well as cash incentives for jobs referred from existing customers.